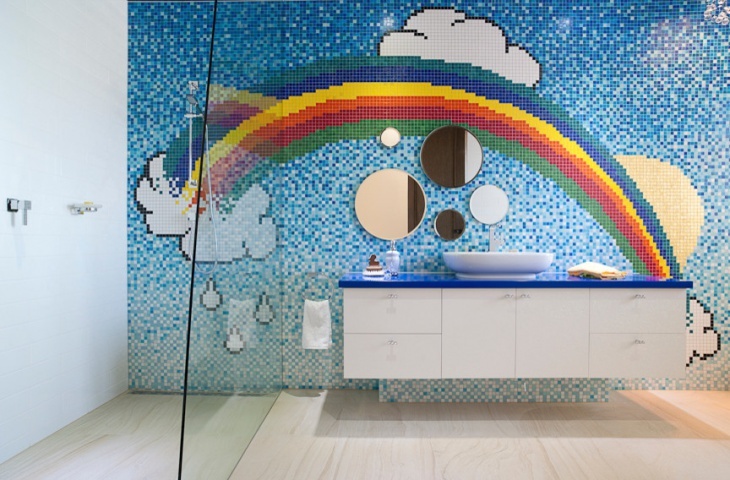 Designing a bathroom for kids can be quite entertaining. 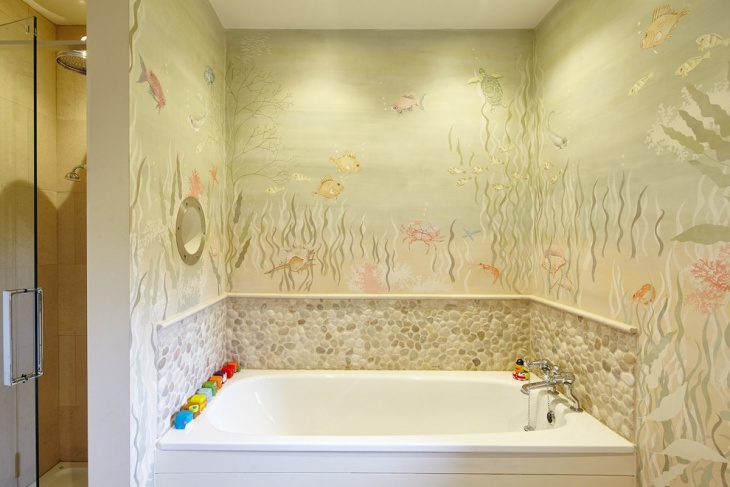 Kids have one thing in common, that is, they fancy a colour-rich ambience. 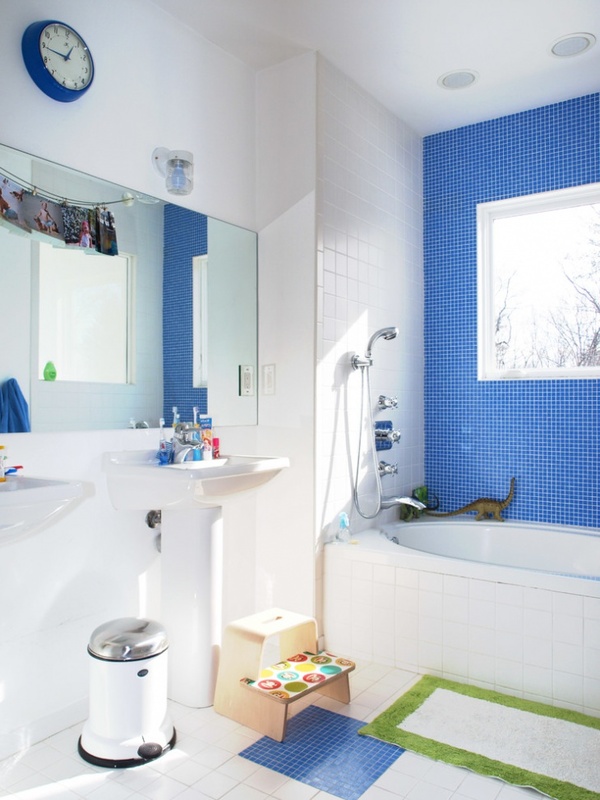 This can be attested by the nature of toys they like playing with, the kind of TV shows they watch, etc – they’re all colour-rich. 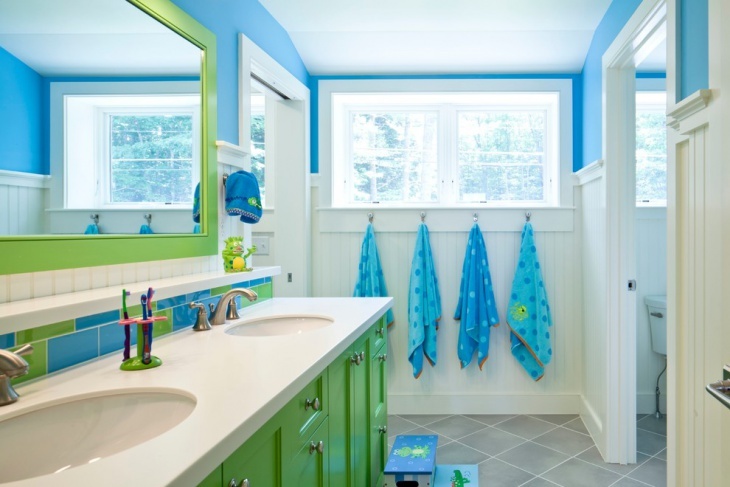 The colour shades popular with kids can be mild or wild. 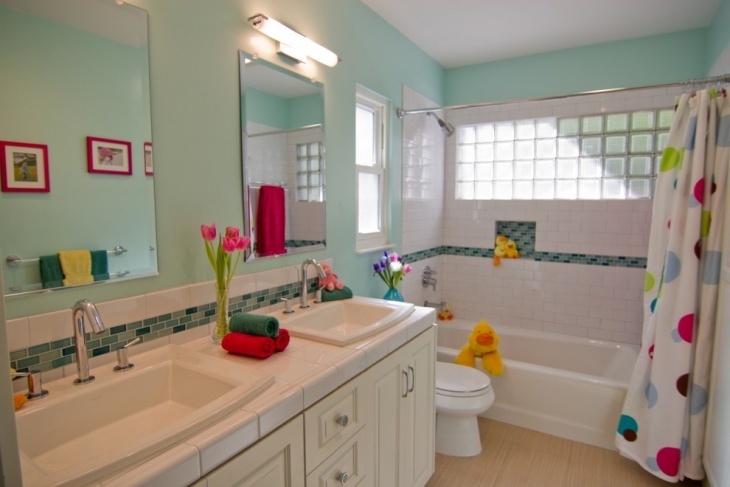 Kids are normally careless hence their bathroom design should factor in this aspect. 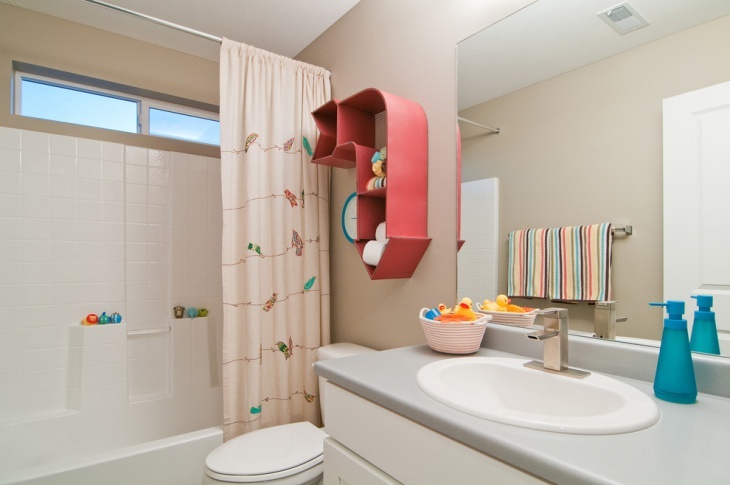 A design with a lovely shelf above the sink can be ideal for the kids to keep their toothbrushes. 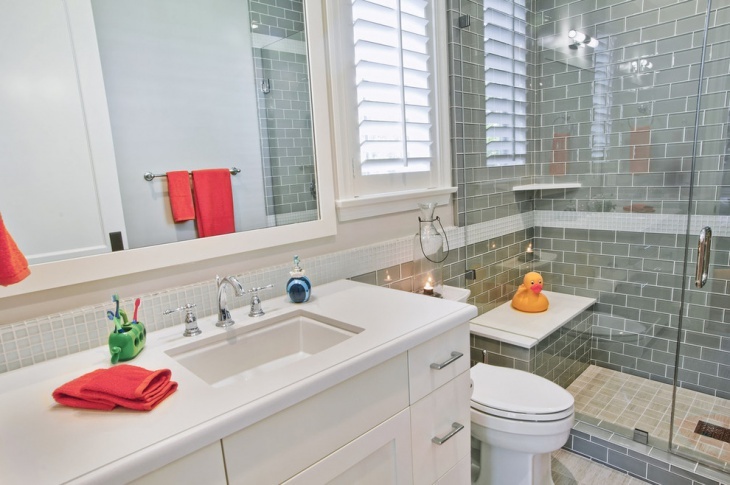 Incorporating a bin next to the tub can prove to be quite handy for placing toys. 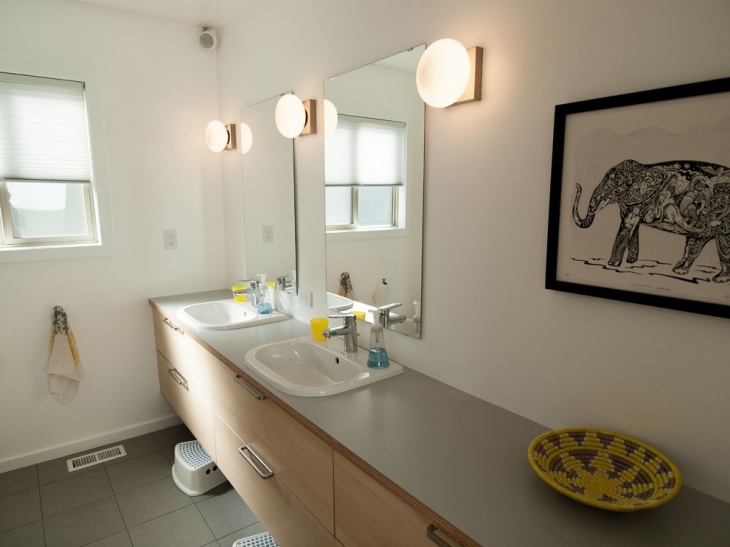 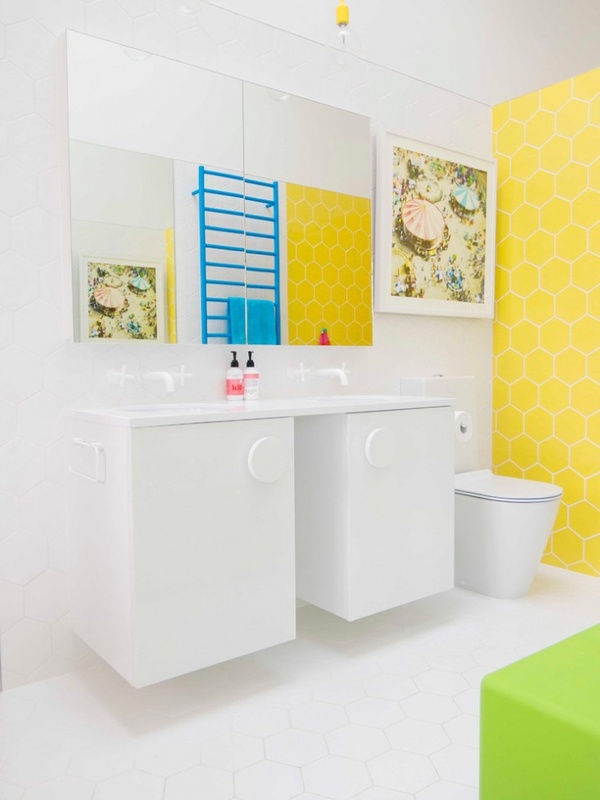 A bathroom with easy-to-operate pullout shelves will enable the kids to access and tuck away brushes, hair ties and other items without much difficult. 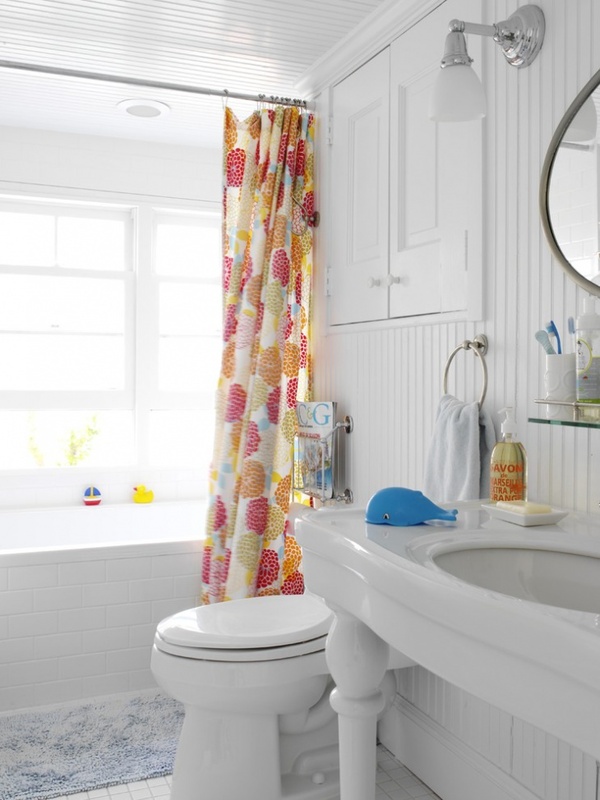 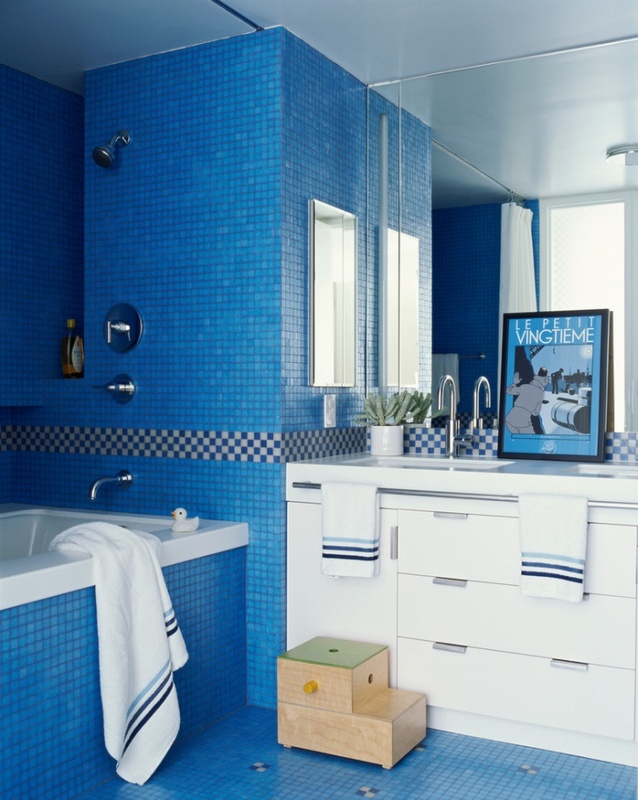 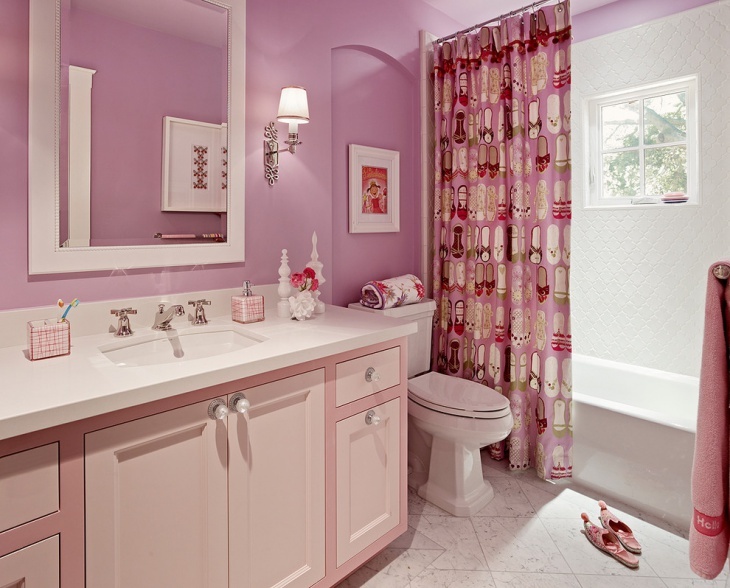 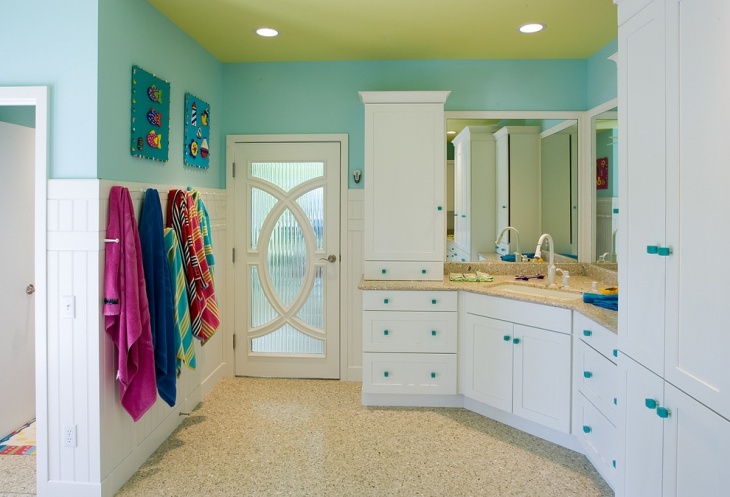 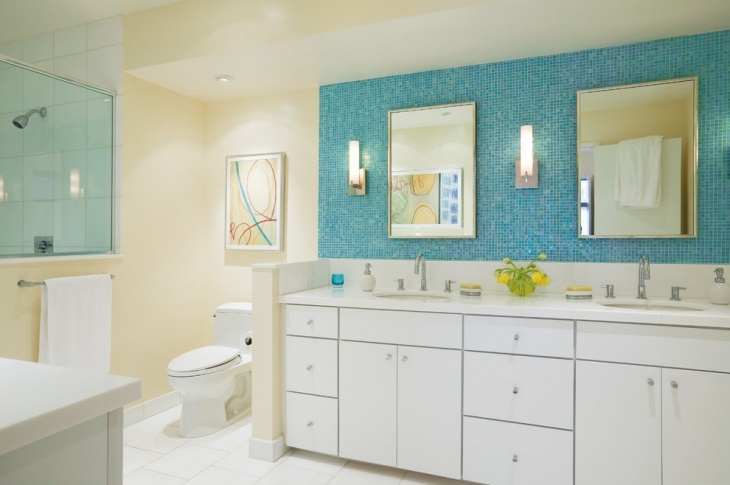 Besides colour, appropriate patterns can turn a given bathroom into an elegant kid-friendly room. 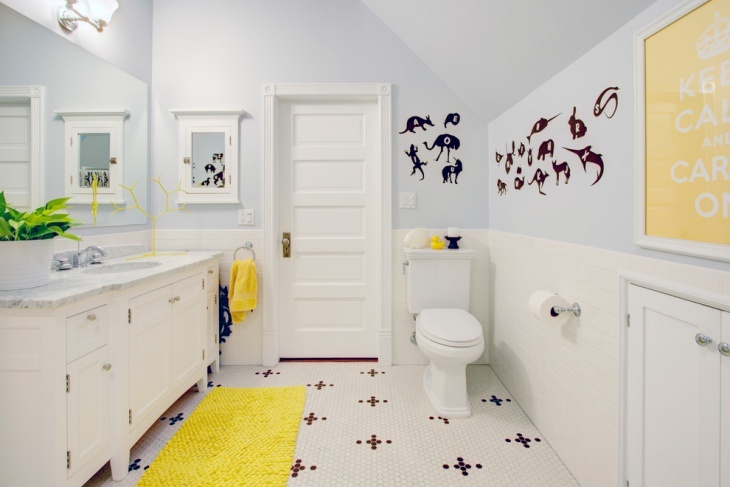 Blending the bathroom with colours or logo of the sports team that the kid follows can be a great way to make the bathroom impressive to the kid. 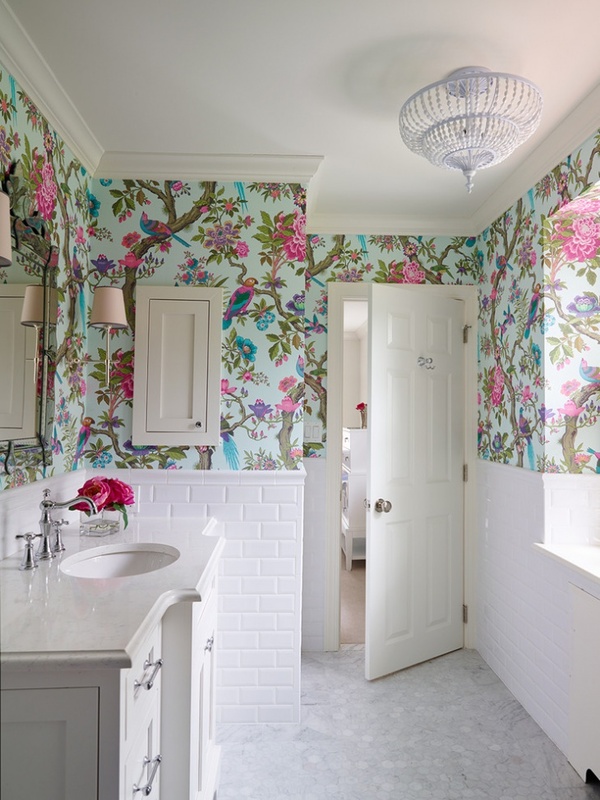 When choosing the motif to use, it’s good to focus on the future. 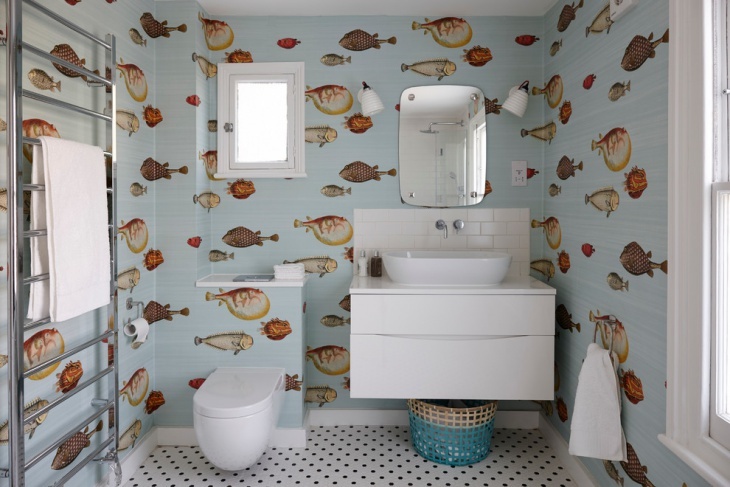 The kind of motif selected for your kids’ bathroom should actually captivate the kid as he or she grows up.